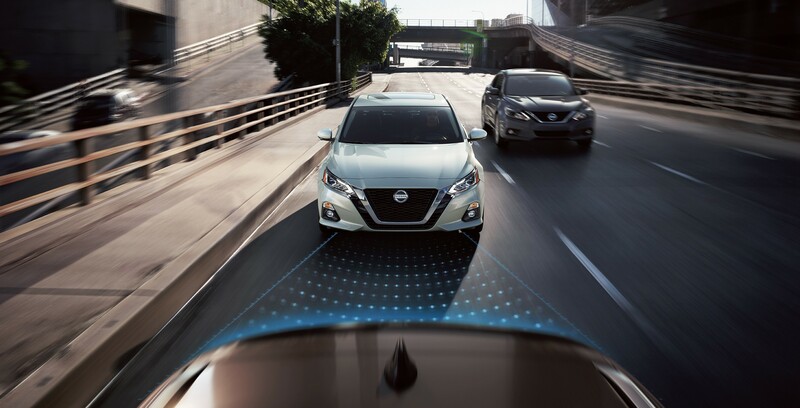 Nissan Intelligent Mobility™ offers a suite of available advanced driving aids that help you watch the flow of traffic and anticipate the conditions ahead. These technologies step in to help keep you out of trouble, scanning for potential hazards and making automatic adjustments so you can avoid obstacles on the road. All for a secure, confident ride. Imagine a sedan that has the kind of all-weather capability you usually expect from an SUV. 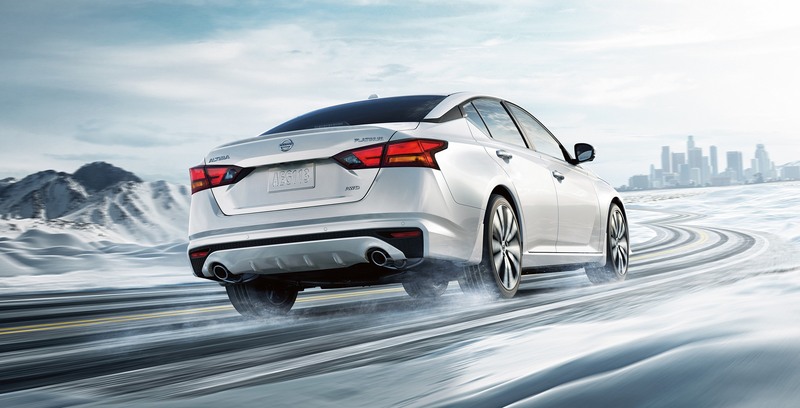 Altima® is Nissan’s first sedan with a standard Intelligent All-Wheel Drive (AWD) system. Combine that with all-new steering and suspension and Altima’s powerful but fuel-efficient 2.5-litre DIG engine, and you’ll revel in a thrilling and commanding ride. 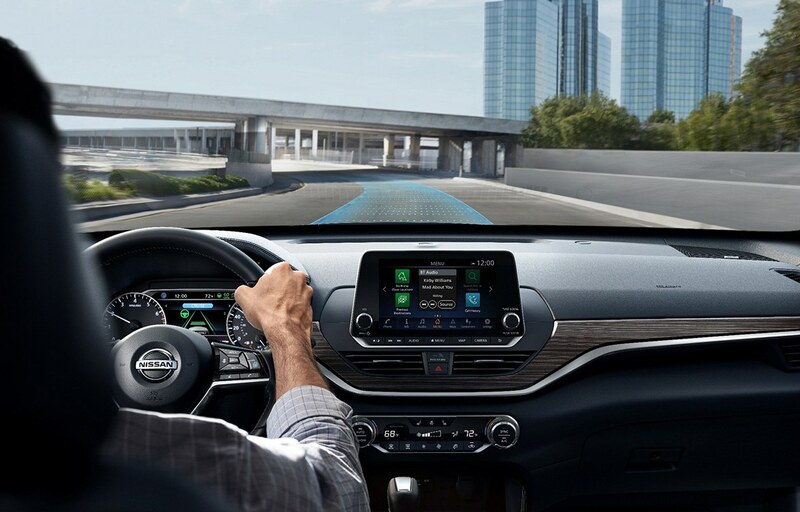 Part of Nissan Intelligent Mobility™, available ProPILOT Assist™ is a pairing of two advanced driver assistance technologies – Intelligent Cruise Control and Steer Assist. 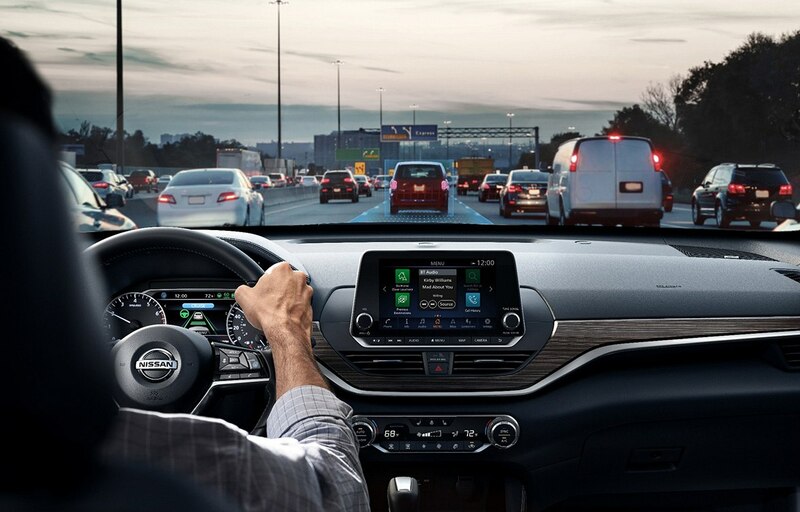 These driving aids help you keep pace with highway traffic and stay in your lane – at the push of a button. All to help make the most of your commute.